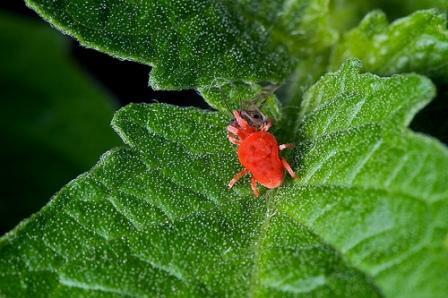 Small red mites feed on the lower side of leaves. White specks and patches appear on the leaves. Webs appear on the leaf surface under severe infestation.